"We stayed at the Lantern Townhouse for 3 nights in May during our first trip to Ireland. 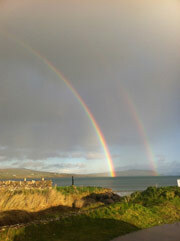 This was a good location, close to many activities in Dingle. Our room was comfortable and made us feel at home. Katharine was a wonderful host with a cheerful attitude and always ready with great advise on things to see and experience in Dingle. We hope to get back there again. Highly recommended."